A mysterious force from a parallel universe wreaks havoc on a small town as a scientist fights to stop it from taking over the world! With its dazzling animation, super-charged gameplay and electrifying story, Deadly Voltage: Rise of the Invincible is a hidden object adventure for all ages! Plug in today! 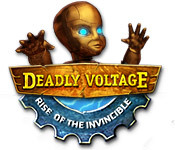 Deadly Voltage: Rise of the Invincible is rated 3.3 out of 5 by 60. Rated 5 out of 5 by Heather_G from Nice, long game with a different story line. 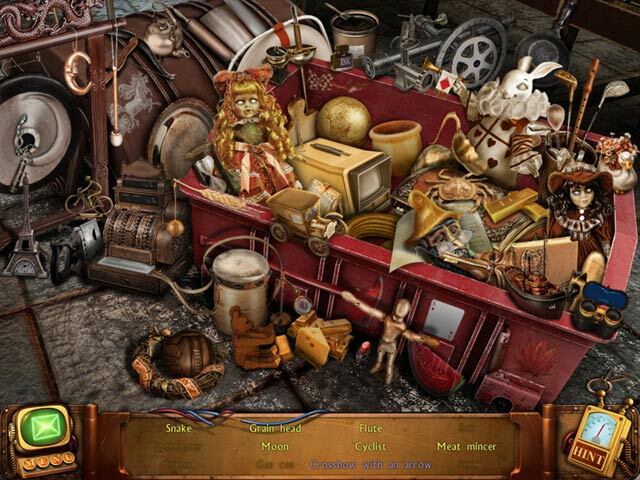 This game is heavy on the adventure but has enough hidden object scenes to keep most seekers happy as well. 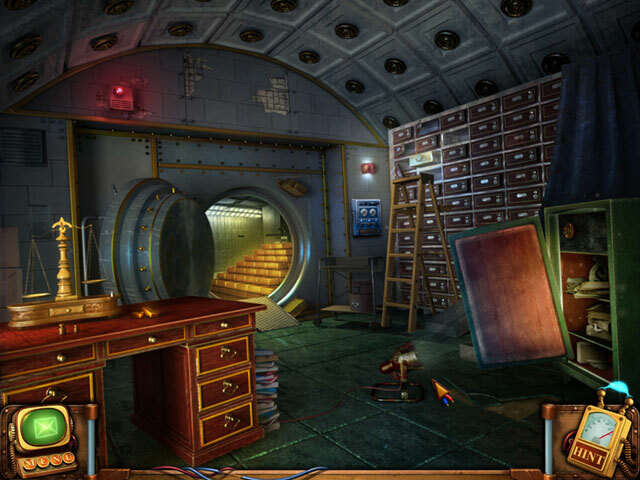 The hint system was very helpful, the game ran smoothly and the pace moved the story right along. For once, there wasn't a missing loved one, an amulet, or mysterious relic involved!!! Yea for the writers! There is a bit of back and forth involved, but I don't mind that. The music got repetitive after a while, but was mostly jazz, so a little different from the norm. I spent a good 5-6 hours on the harder mode and enjoyed it very much. Rated 5 out of 5 by centauri272 from A nice game with many things to do! I liked this game because of the really good graphics, the length of it - about 4 hours - and all of the HOS - real junk piles...! The map allows to jump to a location, which is good, since there are many of them! The mini-games are on the easy side, but interesting. All in all, well worth the money! Rated 5 out of 5 by bonnadonna from You Have To Play This is a game worth playing, It has so many twist and turns just when you think its about to end it just keeps going. A must for real players! Rated 5 out of 5 by ihatetimelimits from Really an excellent game This is a great game. Screens, music, sounds and playability are all excellent. 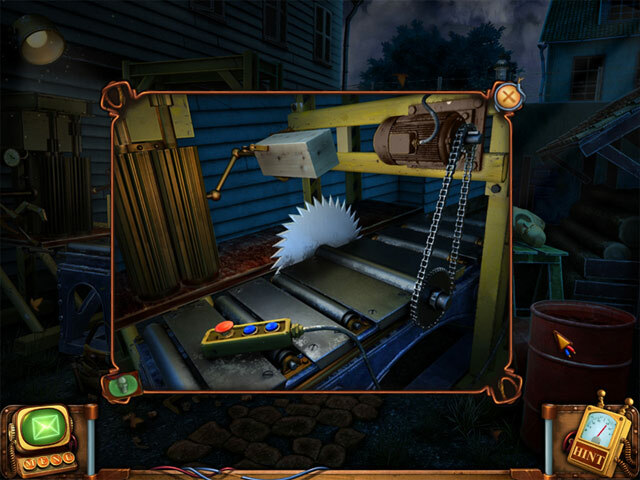 Hidden object screens are fun and challenging. Puzzles are hard. Storyline is fairly easy to follow, and the "hint" button is there to lead you where you need to go. I was drawn into this game and had a ball playing it. Rated 5 out of 5 by Sheerija from REVIEW OF COMPLETED GAME I have read so much negativity about this game and I cannot understand any of it. These Devs have given us a super, solid 6 hour SE iHOPA that is just the bee's knees. I have not had this much fun with a game in a month of Sundays. Gorgeous wide screen graphics with so much detail and so many locations, it's awesome. One of the best story lines in ages. An electromagnetic entity has come through a portal from another dimension and contaminated our world and is trying to take it over altogether. This is the Golden Boy and he is just magnificent. You are the messenger, hired to deliver a package to the town hotel, where you are roped into helping the person responsible for causing all the trouble with this portal he opened. You are directed to open the package and don the futuristic contents, which enable you to deal with electrifcity. This Golden Boy has brought fairy robots with him, which are so beautifully designed they are amazing. They interact with you throughout the game and are always seen flitting around. There are robots dotted around various locations. They ran amok at some point and have since been disabled, but you still get to use them for codes and items you need. If you do not get how good a story that is, then I have not done it justice. It's brilliant. There are many iHOS, its true, but they are so well done, clear and quick and easy that I did not mind them at all. The puzzles are hard for the most part and although a small percentage defeated me, they are still fun. Backtracking is minimal and you never have to go back very far. Even if you did, the mechanics and navigation are so smooth and instant, it is a pleasure to roam around. The music is piano jazz and whilst I am not a fan of jazz, I applaud anything that is not a funeral dirge. It lends style and atmosphere to the game. I wish more Devs would consider changing their music from the usual dismal orchestrals. There is no map but it's unnecessary with this game. There is a journal for all your clues and codes and information on the progress of the game. There are no voice overs but I ceased to notice that very early on, I got so caught up by the game play. This is a really fun, creative, immersive game that is wonderfully designed and created, with everything one could wish for in a game, incorporated with flair and imagination, that gripped me straight off and held me all the way through. From the ending I think there will be a sequel and if there is, I will be over the moon. Thanks Devs. Make more. Lots. Just like this one. Loved it. If you can get this one with a pcc, it really will indeed, be your lucky day. I would have paid CE prices for it, it's that good. It starts off normally, just like any other game. Then it's uphill all the way. I played the whole thing with just one thought on my mind, "Wow, this is faaantastic!". Recommend it? Heck, YES. It's a slam dunk!. Rated 5 out of 5 by 1fireangel from Really enjoyed this game! I don't know why this game hasn't gotten better reviews. The graphics are very crisp and clear, there's a journal in the form of a computer, and there's a jump map which is one of the most important things in a game for me when you have to revisit previous locations. There are no voice overs but the dialogue is well written so not a big deal. Interactive HOS which were fairly challenging at times as some things are well hidden. The storyline is something different from the recent norm and kept me interested. I purchased after the demo and glad I did because I thoroughly enjoyed the entire game. Rated 5 out of 5 by Jeriann64 from Unique HO ! I for one, really like this game. Alawar always has games like no one else. The drawings are so precise, there's no way you can't tell what everything is. The HO's are a little tough, but if you bear with it, you can find them. I didn't really like the music, but I could get used to it. If I was grading this game, I would give it an A+ !! Rated 4 out of 5 by bluesycat from Old Fashioned Doesn't Have to Be Bad! Based on the completed game. This is an old style HO game, with a storyline that reminded me of 1950's science fiction movies. Actually, so did the graphics and the game design. You get to do a lot of aimless wandering around a pretty large environment of beautifully rendered scenes. There is an entertaining journal with hints and clues and THANKFULLY a jump map. What I absolutely LOVED about this game was the soundtrack. A kind of 40's-ish piano jazz. Something you might expect to be the background of a detective radio story. I thought it added hugely to the strong retro feel of the game. Every time I thought I was bored out enough to quit, that little jingle came in an reminded me that this is an old style game, so accept it as such. In the end the story was basically satisfying and I thought the way the monster was defeated was ingenious. With the caution that this is an OLD STYLE game, I recommend it. Do demo it first and maybe use a freebie, if you're not sure. A mysterious force from a parallel universe wreaks havoc on a small town as a scientist fights to stop it from taking over the world!